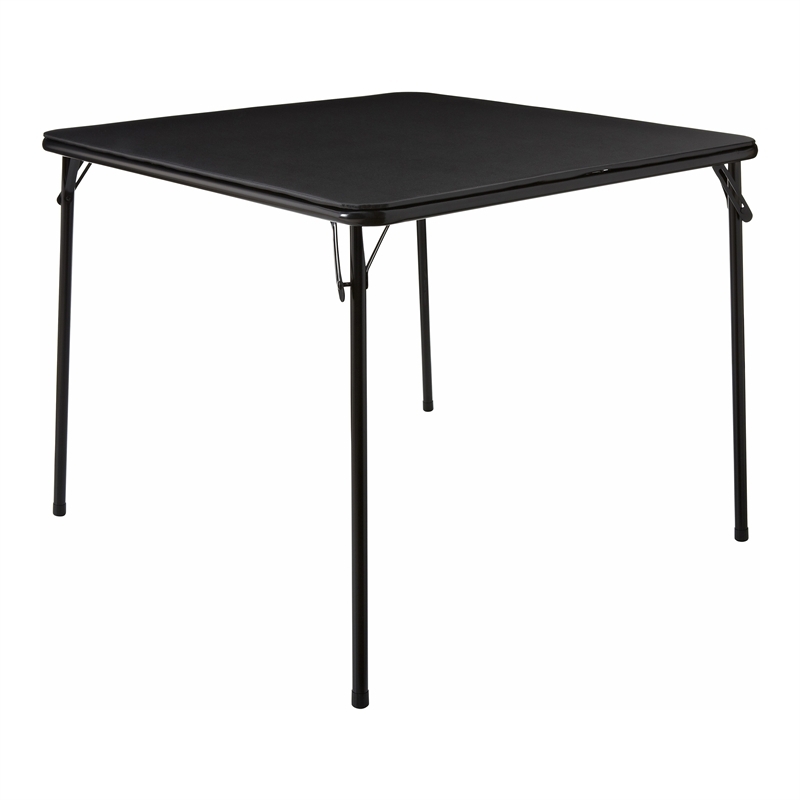 Lightweight, portable and collapsible, Marquee's Steel Card Table includes all the necessary features ideal for temporary table space at functions, parties or for general use. 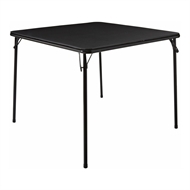 This table is designed with a sturdy steel frame, delivering ultimate stability and strength, for a strong foundation under any added weight and supports a durable vinyl table top, providing premium resistance against staining, weathering and general wear and tear. Ideal for both indoor and outdoor use, this table is perfect for arts and crafts, seating solutions or buffets.